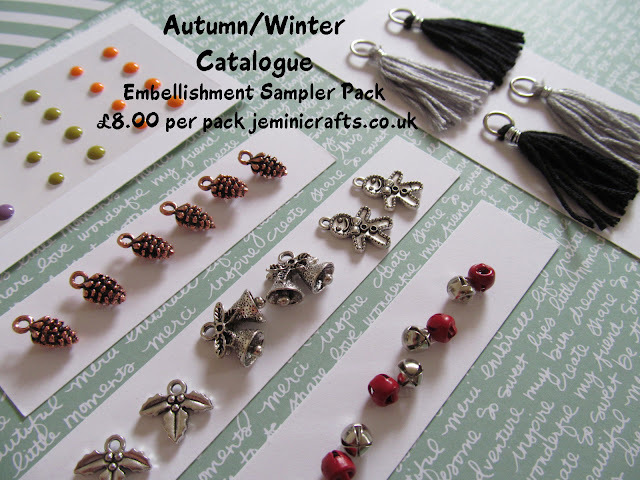 Further to my two previous postings, I am delighted to add the final part of the sampler kits - the embellishments. They will bring an added dimension and texture to your card making and scrapbooking. 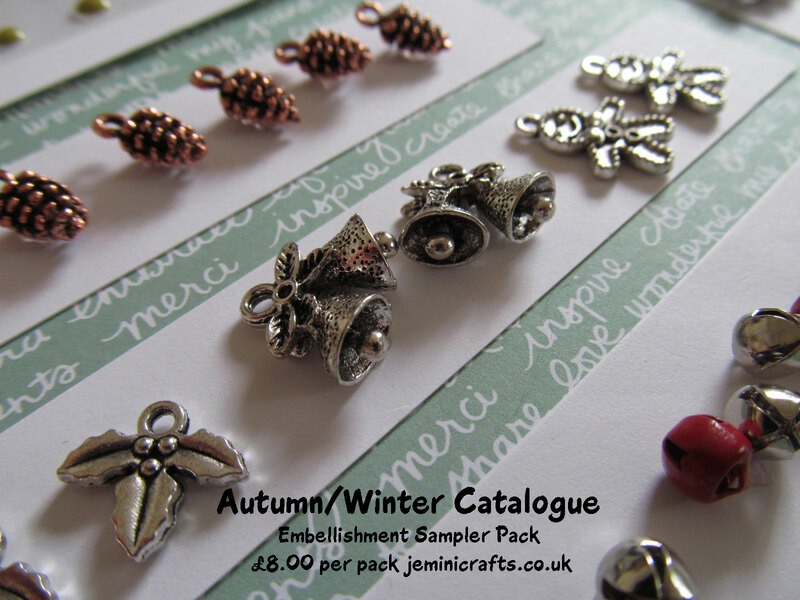 All of these are part of larger packs which you can order individually if you wish. This sampler pack is just £8 per pack. EMAIL me to order your set now. 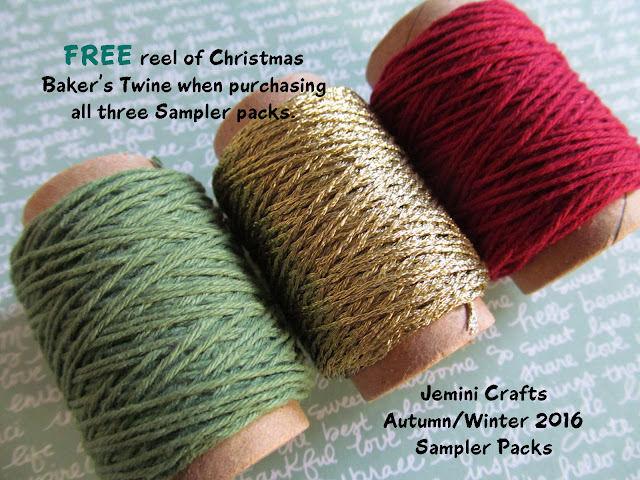 If you sign up for all three of my sampler packs, you will receive a free reel of Christmas Bakers twine by way of a thank you from me.